Lillie A. Mosaddegh, M.D. (San Francisco) - Book Appointment Online! Welcome to our Ophthalmology/Optometry offices located in San Francisco, CA. 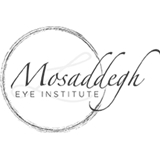 We offer quality eye care with a personal touch at four convenient locations throughout the city. I did a general eye and contact lens exam. The visit was quick and straightforward. I got everything I needed and was even provided a free sample of contact lenses to see if they would fit me! I would highly recommend Dr. Kelly Voltz, OD. She is incredibly polite and friendly. Dr. Partida was kind and professional, and also made sure to get a second opinion about the diagnosis from a colleague in the same praxis. This all was without much wait and made us feel confident. Maggie was extremely knowledable and patient with me as I had a ton of questions. I can tell she truly cares about her patients. This was easily the best experience I’ve had at an optometrist. I would highly recommend her!